Kairis Ulp is the Manager of the Estonian Sports Register and acted as chair of the Presidency’s working party on sport during Estonian Presidency of the Council of the European Union 2017 . 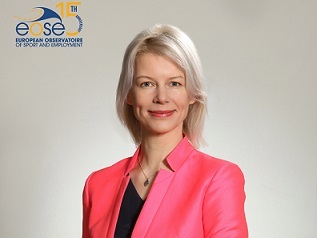 As part of the EOSE’s 15th Anniversary special campaign, it is a pleasure and an honour that she agreed to contribute highlighting key challenges and opportunities in terms of sport policies in the European Union. As chair of the Presidency’s working party on sport during Estonian Presidency of the Council of the European Union 2017, you have been in the second semester at the forefront of the discussion on the future of EU policies in the field of sport. A few months later, what are according to you the “takeaways” of this experience (achievements, lessons learned, challenges overcome…)? 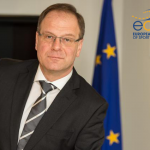 KU: “I believe that Estonian Presidency of the Council of the EU in the field of sport was successful in every way. The EU Council adopted two policy documents; we organised the EU Sports Directors´ meeting and two international sports conferences; celebrated the International Day of University Sport; in cooperation with the European Commission officially opened the European Week of Sport. I am immensely proud of all those results, but if I had to rank the legacy of Estonian Presidency based on importance, I would do it as follows. Firstly, I would like to highlight the raising of the subject of coaches as key figures in sport on the EU level and adopting conclusions on the role of coaches in society at the EU Council. This policy document is important because it explains the role of coaches not just from the aspect of sports, but from the aspect of the society as a whole. According to the International Council for Coaching Excellence (ICCE), there are more sports coaches than police officers or teachers in the European Union – up to 9 million coaches who influence up to 100 million Europeans. Secondly, I would like to point out the resolution of the Council of the EU on further developing the EU structured dialogue on sport. While the topic of coaches was a clear priority for Estonia, we chose the second topic of structured dialogue in view of what other useful issues we could possibly address within the given timeframe. Successful implementation of any sports policy requires discussion and cooperation between EU institutions, member states´ authorities and sports movement, in the official language known as the EU structured dialogue on sport. The resolution that has been effective since 2010 has a narrow focus on high-level structured dialogue. The resolution adopted during the Estonian Presidency widens its ground through the existing EU Sport Forum and a brand new operational level structured dialogue between sports executives, it also emphasises the importance of communication with sport movement. Several of my very good EU colleagues find that to be the most crucial sports-related achievement during the Estonian Presidency. Thirdly, I am proud of participation of the IOC President Mr Thomas Bach in the high-level structured dialogue and policy debate of the EU Council, which also appeared to be the greatest challenge for the Presidency. The President of IOC participated in a debate at the EU Council for the first time after the entry into force of the Treaty of Lisbon, and most likely the first time ever. This is an important milestone, his performance further confirmed the need for such level of communication. One of the main focus of the Estonian Presidency in the field of sport was the expanded role of coaches, with a wider approach geared towards society. Would you mind letting us know more about the Estonian approach of the professional qualification of coaches and why it was crucial for you to have a special emphasis on the skills and preparation of coaches to respond to changes in society? KU: “We have developed the occupational qualifications system of coaches in Estonia for more than 10 years: the coaching profession is regulated by sport act and the Estonian Qualification Framework is referenced to the European Qualification Framework (EQF). We have a digital register of coaches that allows the real-time overview of coaches with valid qualifications, their workplaces at sports clubs and schools, as well as the procedure of applying for coach qualification electronically. Recent significant endeavour initiated by the Ministry of Culture was coach support programme, under which the state provides funds to cover up to 50% of the labour costs of coaches with at least EQF qualification level 5, engaged in training youth, provided that the sports club or school pays for the other half of the labour costs. This measure has been one of the most effective steps in sports organisation in Estonia; during the first years of implementation, approximately the same amount as the contribution made by the state was returned through taxes. We might say that the latter provided a basis for creating the narrative of documented conclusions – the positive interaction between coach and society. As you may know, EOSE has been working on “workforce development” in the sport and physical activity sector since its creation in 2002. Therefore, we fully support this initiative. As you mentioned, this is however still a novel and current topic at member state and EU level. Did you encounter any barriers during the discussion of the working party on sport when you put emphasis on the “skills”? 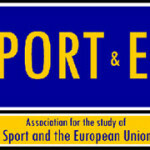 What do you expect for the months to come and what can be done by the sport movement to build upon this momentum? KU: “Every presidency has to consider different situation and positions of each EU member state. As for the topic of coaches, for example, there were two extremes – in some countries, it is mandatory to have the occupational qualification of a coach, i.e. a person acting as a sports coach is required to have certain knowledge, skills and responsibility, while in other countries coaching, especially if it involves working with children, is considered a voluntary activity that often does not require any evidence of competence. I wish that the topic raised by Estonia regarding the broader role of coaches would gain more ground and positive reception by sports movement. That would also help to increase the value of the coaching profession in the society. 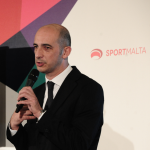 Sports movement could assist with dissemination of the adopted conclusions to its member organisations and coaches, as well as implement the invitations laid out in the document, that match their particular target groups. 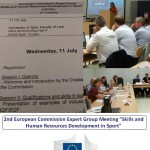 Such invitations include for example to encourage that people who work as coaches have the necessary training, to develop content for coaches´ training with the knowledge of social skills, duty of care, gender equality, anti-doping, dual career of athletes, etc., as well as to develop safe and effective leisure time services, so that sport would remain attractive with regard to computer-based leisure activities. Last but not least, it was under the Estonian Presidency that the “Tartu Call for a Healthy Lifestyle” was signed. To what extent does this call reflect the Estonian approach of sport and physical activity and what perspectives does it open for the sport movements, local governments and the EU citizens? KU: “Estonia faces the same problems as the rest of Europe and the world: the rapidly quickening pace of life and computer-based activities facilitate sedentary lifestyle and decrease of physical activity of people, having a negative impact on health and the quality of life and causing increasing pressure on health care system. According to the vision of our national development strategy “Fundamentals of Estonian Sports Policy until 2030” the great objective of the Estonian sports policy is a living environment that promotes physical activity, along with services that support an increase in healthy life years, self realisation and economic growth. The strategy has four priority axes and according to the first one, majority of the population should be moving and engaging in sports by 2030. In that sense, it coincides with the objectives of Tartu Call for Healthy Lifestyle. To conclude, EOSE has entered in December 2017 its 15th Year Anniversary and has been advocating and facilitating collaborative action for skills development in the sport and physical activity sector since its inception. 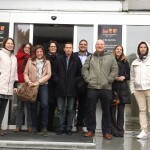 What is your feedback on the work carried out by EOSE and its network on the development and recognition of skills and the promotion of learning mobility? Do you have any special anniversary message for the organisation?